Many stubborn stains can be removed by wetting out the area and blotting up the stain. Care should be taken not to let the stain run onto a larger area. Always blot the wetted area with an absorbent paper towel or clean white cloth. Do not rub or brush as this can cause irreversible color running and pile damage as well as set the stain. Some stains cannot be removed using normal household cleansers. Do not treat stubborn stains with more vigorous mechanical action or potentially dangerous chemicals. Consult Carpet Cleaning Burlingame, CA. We know what to do. If there is color loss in the carpet, it may be able to be spot dyed, or Carpet Cleaning Burlingame, CA can do a carpet repair for you by replacing that area of carpet with another piece from our stock. Carpet Cleaning Burlingame, CA recommends that you wait a full 24 hours before you remove foam blocks or plastic tabs that have been added. You don’t want your furniture to be damaged if the fibers aren’t all the way dry yet. When you have pets and children, the sooner you can get things back to normal the better. We strongly recommend that you ask about our quick drying option to help you keep things in balance. This really depends on who you are having the work completed by. Carpet Cleaning Burlingame, CA is more than willing to move out items including couches, tables and chairs. We can’t move heavy objects though such as TV’s and entertainment centers. The liability issues involved are too complex for us to take part in that. This won’t be a problem because the technology we use at Burlingame, CA Carpet Care doesn’t get the backing of your carpet wet. As a result there will never be any type of damage that occurs to the hardwood that is under it. We also offer a special hand cleaning process for your oriental rugs or other types of woven rugs. They are too delicate to do with the traditional equipment we can bring to your home. This isn’t necessarily the fact on the matter but it depends on what is used. Many types of shampoos used on them can leave behind a residue. As a result these chemicals end up attracting more dirt like a magnet. Carpet Cleaning Burlingame, CA uses the most advanced procedures and environmentally safe products. Therefore your carpets will stay clean and residue free after we clean them for you. Don’t worry though because Carpet Cleaning Burlingame, CA has techniques to take care of it. We target all the aspects of these problems including each layer of the carpet. We use sanitizers to kill bacteria as well so the smell won’t come back again a few days after we are done. We can’t always save your carpet but we will look at it and let you know what the options are for resolving the problem. Carpet Cleaning Burlingame, CA is one of the few professional companies out there that will clean Berber. It is often misclassified as a fabric but it is actually a type of weave. It features loops that are made out of wool or nylon. It has to be cleaned more intensely because there can be accumulations of dirt and debris around these loops. Carpet Cleaning Burlingame, CA is able to get all of that removed for you so don’t stress about it. At Carpet Cleaning Burlingame, CA we have specialized products that we use when it comes to cleaning wool. We have plenty of experience working with it so don’t be stressed out about it. Since we use both a low temperature and a low amount of pressure it is going to maintain its shape. We are also very careful when it comes to the drying process for wool. Carpet Cleaning Burlingame, CA has special tools that allow us to work with cotton like this. Depending on the situation we may recommend that it is dry cleaned. We will be glad to take a look at it and then let you know what we recommend. Carpet Cleaning Burlingame, CA is proud to say we are also experts when it comes to cleaning these types of materials. We can do an excellent job for you. These materials also dry within a 1 to 3 hour time frame. There are both wet and dry cleaning methods that are very good to use. Keep in mind that when we say dry cleaning there is some water involved in the process. Basically we will spray our product onto the carpet and then use padding to remove it. Carpet Cleaning Burlingame, CA always makes sure that no residue that can attract dirt and debris is ever left behind either. 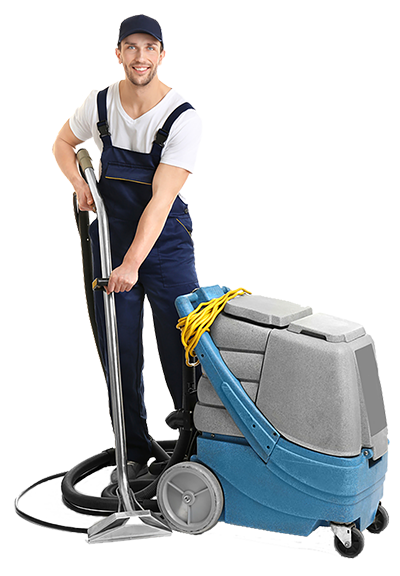 Carpet Cleaning Burlingame, CA personally likes to be able to clean carpets with the use of steam. This involves a cleaner being placed on the carpet and then hot water is used to rinse all of it out. The temperature of the water is about 120 degrees Fahrenheit so it is a very powerful method of cleaning. For rinsing the water can be up to 240 degrees Fahrenheit. We like to use it because it cleans carpets very well. It is also a method that will be accepted under the terms of most carpet warranties.